Fundo Press is a small publishing company based in Raleigh-Durham, North Carolina. The purpose of Fundo Press is to create educational children’s books that inspire young readers to get excited about learning. This company was started from a passion to make an engaging learning tool for young readers. In the process of creating our learning tools, we interact with educators, friends, and family to focus on the quality and culture of our products. We strive to provide a fulfilling learning experience that sparks creativity and a thirst for knowledge. 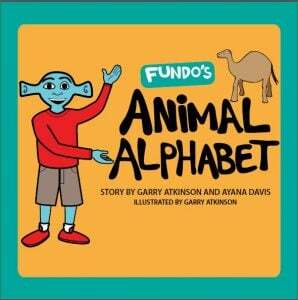 Fundo’s Animal Alphabet is an educational book for readers ages 2 through 8. This exciting book is designed to teach young readers the alphabet and enrich their vocabulary. Your young reader will enjoy the vibrant colors, wordplay, and learn about an interesting animal for each letter of the alphabet. The Exciting World of Fundo – Join the curious character Fundo on his first trip to Earth with his family. In this epic, colorful, story, readers are introduced to Fundo, the adventurous blue boy from Saturn. 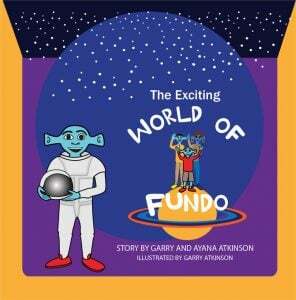 The Exciting World of Fundo’s is an educational book for readers ages 2 through 8, which teaches about the solar system, family, and identity.